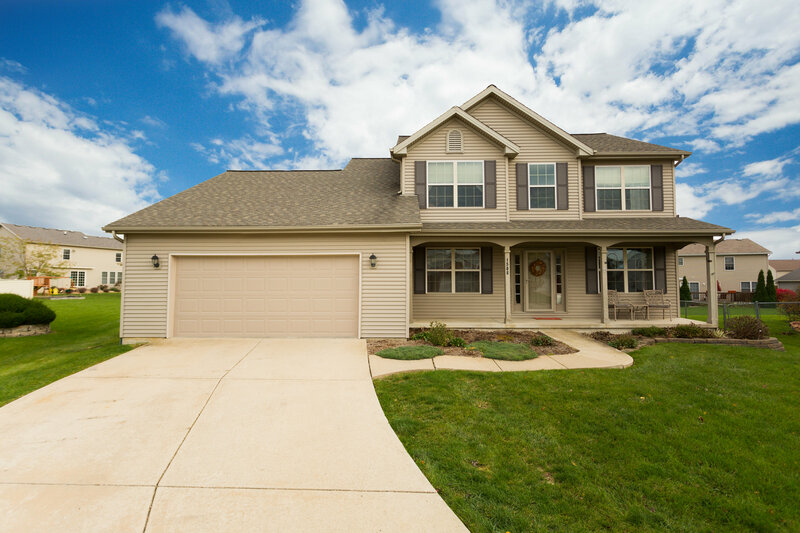 1508 Biltmore Ct. Normal, IL 61761 – This home is pending! Living is easy in this spacious home in Collie Ridge. Looking for a place to store your boat for the winter? Garage is extra deep (296sq ft addition) and fits 2 cars tandem, making it able to fit 3 cars total – or that boat! The open eat-in kitchen to family room is great for entertaining. Formal dining room, office/living room, and a laundry room round out the rest of the first floor. Upstairs you’ll find 4 of the 5 bedrooms (5th in basement). Master bedroom includes a large master suite bath with dual vanity, whirlpool tub, and walk-in closet. Finished basement offers another family room, half bath, and bedroom. Incredible bar set-up is negotiable – and you’ll want it! New garage door 2017, new hot water heater 2017, new air conditioner 2016, new paint 2017, new storm door 2017, and new carpet throughout 1st and 2nd floor is coming soon.